More than one hundred former NICU families returned to Holtz Children’s Hospital to celebrate the miracle of life at the annual NICU Reunion. These former NICU babies and their families came back to say thank you to the nurses and doctors who helped them beat their medical challenges. The children ranged in age from 1 to 21. 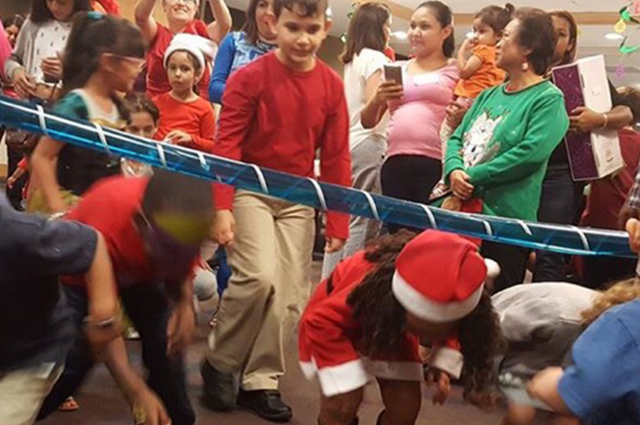 They shared their stories, danced, ate, played games and even enjoyed a visit from Santa. It was a very festive event as the reunion coincided with the December holidays. A number of NICU moms and even a NICU graduate signed up to volunteer for ICU baby. We look forward to them joining our team!